Join the heady ride of Der Blaue Reiter, the group of artists who galloped just three years of the early 20th century together, but in their rejection of establishment standards and charge into a new artistic realm marked a major step in the evolution of European Expressionist and abstract art. 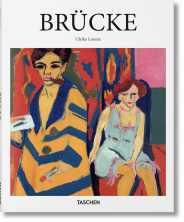 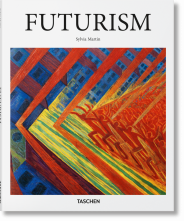 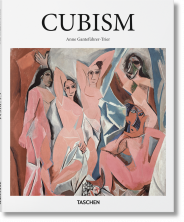 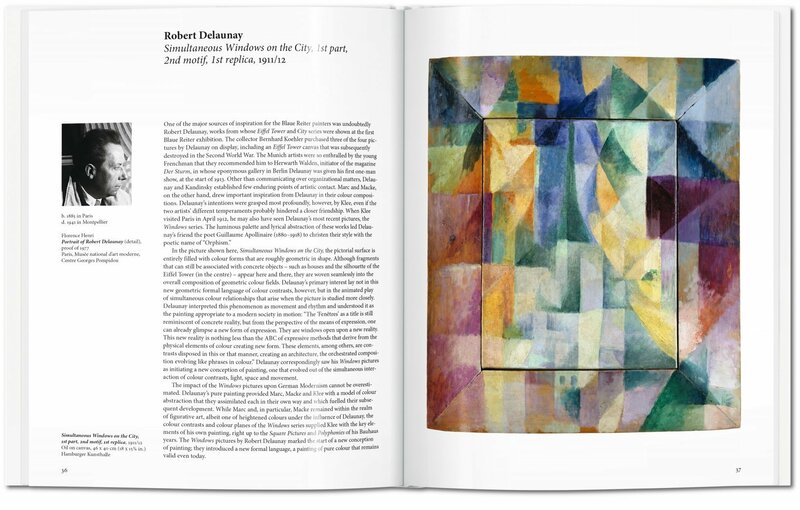 Although it only lasted three turbulent years, the afterburn of the Blaue Reiter (1911–1914) movement exerted a tremendous influence on the development of modern European art. 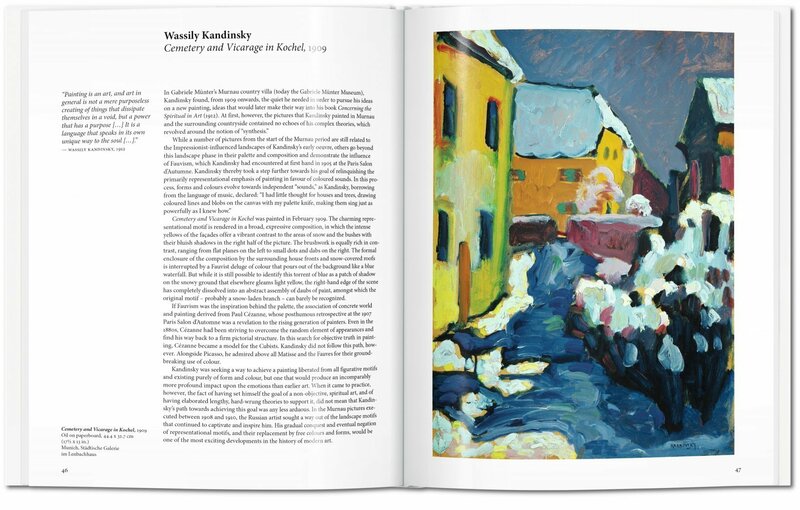 Named after a Kandinsky painting, The Blue Rider, this loose band of artists, grouped around Russian émigré Wassily Kandinsky and German painter Franz Marc, sought to reject establishment standards and charge into a new artistic unknown. 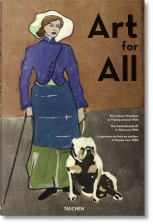 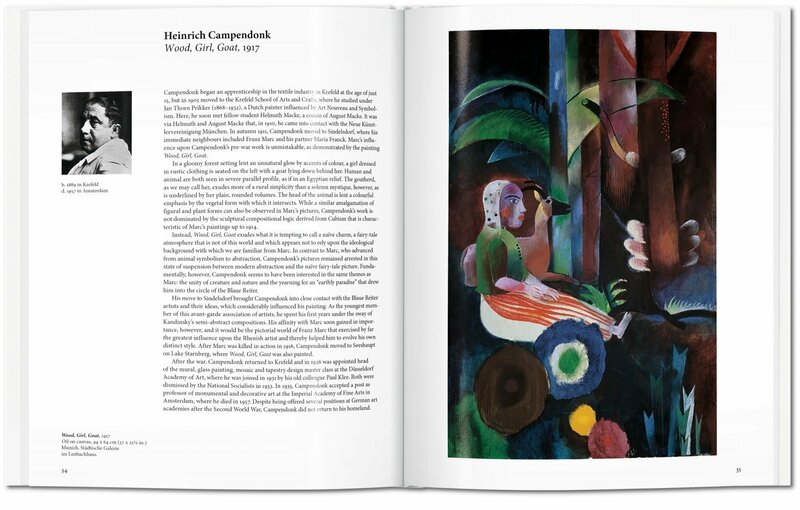 Articulating spiritual values and concerns in an era of rapid industrialization, the artists of the Blaue Reiter were connected by a shared interest in painting, woodcuts, and prints, as well as the symbolic values of color and spontaneous approaches to artwork. 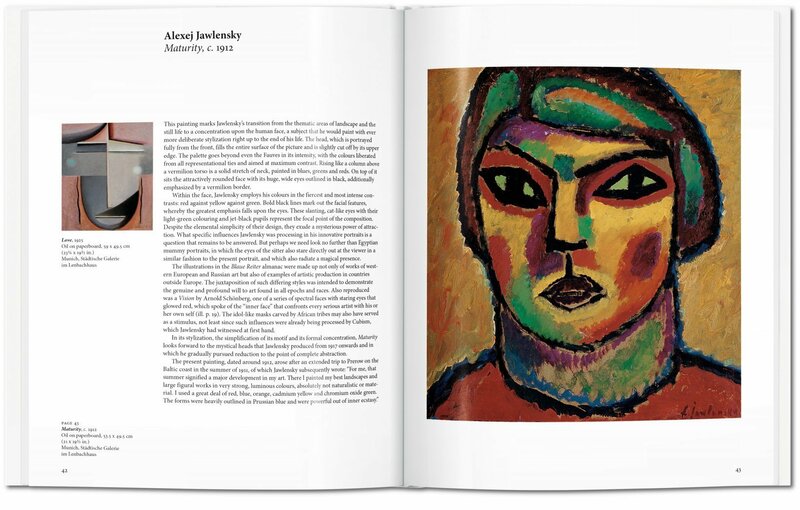 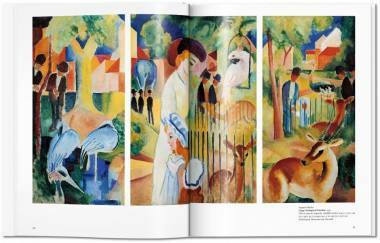 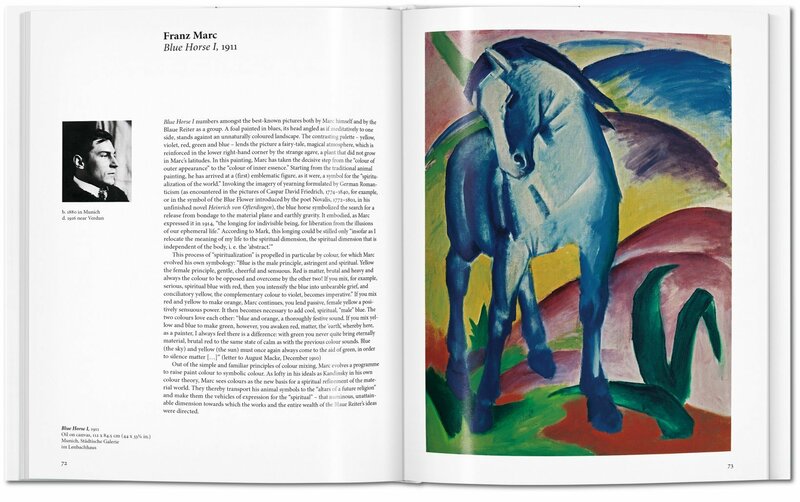 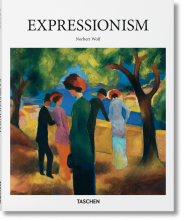 Key pieces such as Franz Marc’s Blue Horse I (1911), Kandinsky’s Picture with a Black Arch (1912), and August Macke’s Woman in a Green Jacket (1913) reveal varying subjects, but all channel distorted perspectives, crude lines, and an emphatic, expressionist use of color. 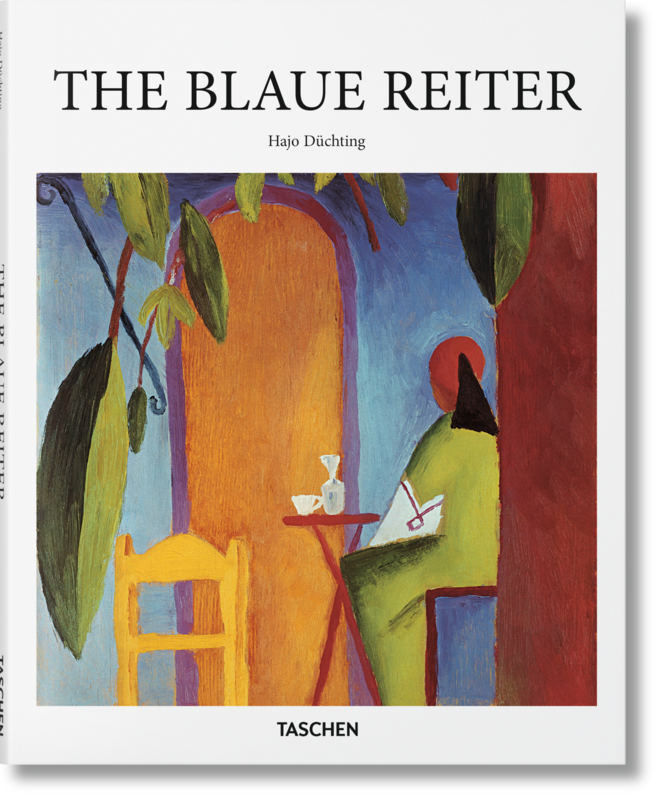 The Blaue Reiter was abruptly truncated by the onset of the First World War, which killed two of its leading artists, along with growing dissent between the group’s protagonists. 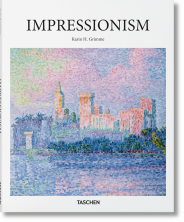 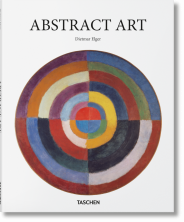 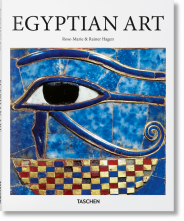 This book reveals the movement’s remarkable influence despite its brevity, presenting key works, artists, and their reverberating effects.